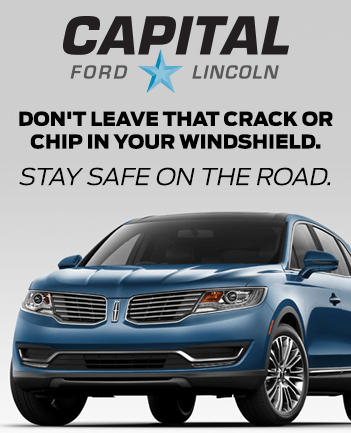 Capital Auto Glass is a leading service centre specializing in windshield chip repairs and replacements. We offer the most comprehensive windshield glass repairs and replacements that are top quality and fairly priced. Our auto glass repairs are done with precision and often take less than 30 minutes to complete. Your windshield is your vehicle’s first line of defense against the elements while driving. Cracking and chipped glass can compromise the structural integrity of the windshield; getting it fixed as soon as it appears will help to prevent damage from spreading and save you money in the long run. Our technicians are specially trained and we provide exceptional service to get you and your vehicle back on the road as efficiently and safely as possible. Your vehicle is in good hands at Capital. 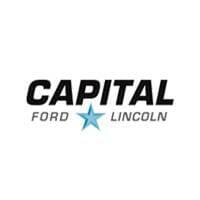 Capital Auto Glass is an affordable MPI accredited solution. Our Winnipeg auto glass repair centre offers great value and investment to help prevent further damage or receive a replacement at an exceptional price. If you have comprehensive coverage and choose to have your existing windshield repaired rather than replaced, MPI will likely waive your deductible! This means no additional cost for you. Our professional windshield repair specialists will do the job right the first time to help you get back on the road faster. Our experienced staff is certified in restoring or replacing auto glass in all makes and models of vehicles. We understand you’re busy and will do our best to get you back on the road safely in a respectable amount of time. Our glass repair specialists will be able to determine if a restoration or replacement is the best option for your vehicle and your budget. Book an appointment by calling our Auto Glass specialists at 204-772-2411. Stone chips happen. If you’re lucky, all you need is a quick glass chip repair; this quick, 30-minute process involves cleaning the area in and around the rock chip, injecting it with resin, and curing it with a UV light. Sometimes, though, a stone chip spiders into a larger crack, which requires replacement for the safety and integrity of your vehicle. What does a stone chip repair cost? Glass chip repairs are $50 to repair, additional chips are $25 each. What causes a stone chip to spread? Moisture can make its way through, getting stuck in the glass. The moisture can then freeze, expand, and create new cracks. Just like that, you’ve gone from a quick fix to a full windshield replacement! Winnipeg is familiar with extreme temperatures: we blast the A/C in sweltering summer heat and then blast the heat for the frigid winters to avoid frostbite. These extremes can put pressure on an already-vulnerable windshield. Sunlight is hot (obviously) and increases the temperature of your windshield. If it can burn your skin, it can damage your windshield. Parking in the shade will help, but it’s best to get any chips fixed. Daily driving can cause extra stress; hitting a speed bump too fast, slamming on the brakes, or slamming a door can cause cracks to spread. Here at Capital Auto Glass, we always prefer to repair your windshield instead of replacing it. Why? It’s less expensive for you to repair your windshield than it is to replace it. However, if the damage is excessive, we would much rather have your auto glass replaced to ensure safety and integrity of the vehicle and the precious cargo inside (that’s you!) We use top-quality parts and equipment to replace your auto glass and only use original manufacturer windshields that fit your make and model perfectly. The size of the windshield that needs to be replaced. The bigger the glass, the more it is going to cost to get a new one. Complexity and fittings (mirror attachments, special coatings, heat/rain sensors and so on) add to the cost of auto glass replacement. What is the process for replacing a windshield? We remove cowlings and/or moldings. We remove the rearview mirror and cut out the glass with specialized tools. Trim old urethane, then clean and prepare both surfaces of the new windshield and vehicle. Install new windshield, reinstall cowlings, moldings, rearview mirror, wipers, etc. In many cases, the whole windshield replacement process will often take about 3 to 4 hours. Your vehicle is safe to drive away when we return your keys to you. We will inform you if there are any special circumstances concerning your windshield replacement. Capital Auto Glass is also experienced in sunroof repair and replacement. We service every make and model, including finding replacement parts for factory and aftermarket installed sunroofs.